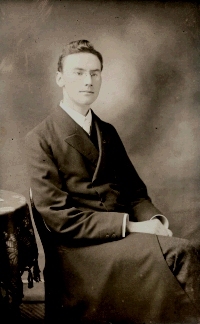 On the 9th November 1918 the Malvern News reported: “The Rev E.M. Poole, B.A. of Glendale, Hornyold Road, Malvern, who recently resigned the pastorate of Holly Mount Congregational Church to resume War work with the YMCA, died in France on Thursday the 31st ult, from pneumonia following influenza. He was aged 31. 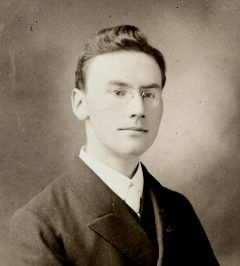 “For four months in 1917 he was at the front, doing strenuous work for the YMCA, and he related his interesting experiences at a meeting held at Holly Mount Church, to welcome him on his return. Some time ago he resolved to go to the front again, and resigned his pastorate, preaching his farewell sermon on September 22nd, the occasion of the church anniversary and harvest thanksgiving services. As parting gifts from the congregation, he received a gold watch and treasury notes. Reference was then made to his successful ministry in Malvern, and deep regret was experienced at his departure. In reply, Mr Poole thanked the Deacons and members of the church for their loyal and hearty co-operation during his seven years pastorate. The teachers and scholars of Holy Mount Sunday School, which meets at North Malvern Mission Chapel, presented him with a fountain pen. “Mr Poole was ordained to the pastorate of Holly Mount Congregational Church in September 1911. He conducted services there on February 26th and May 14th of that year and received a unanimous call, which he definitely accepted on July 1st. When Mr Poole was at the front last year he spent nearly the whole of his four months service with the YMCA in the little corner of Belgium, which the Germans had not occupied. “He leaves a widow and one child and a widowed mother. A man of fine Christian character, with a high sense of duty, he was beloved by his flock, and esteemed by the ministers and members of every church in the Malvern’s. Soon after the outbreak of war he tried several times to enlist, but failed to pass the medical examinations.